In this article, I have added reviews of Best 6×8 Speakers to buy in 2019. Buying new 6×8 speakers for your car can be a hectic job. There are so many options available now and the market is filled with so-called best brands. Few brands focus on the quality while many focus on keeping the price down. When I bought my first 6×8 speaker for my car, I had to do a lot of research before making the final call. I have selected quality focused brands that come with the best price for this article. 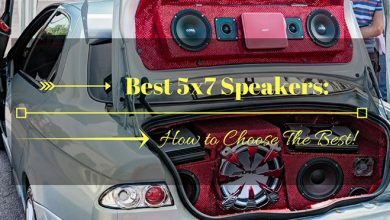 4.1 Why I Choose these Best 6×8 Speakers for my Car? 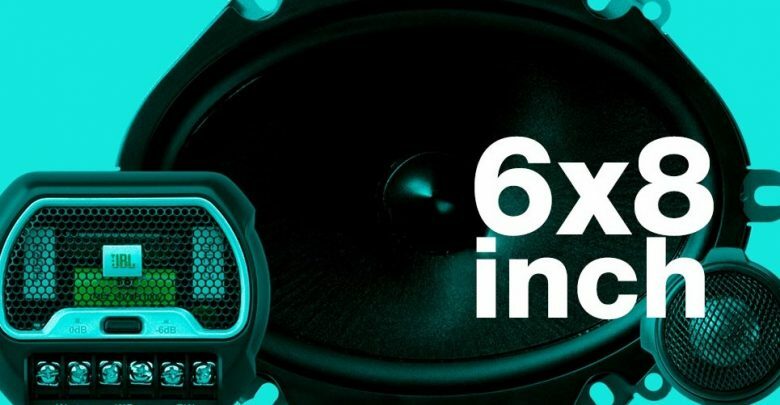 Here is the comparison chart for 5 Best 6×8 Speakers to buy in 2019. I have selected top 5 products for this article. In this chart, all basic features along with the price. Here’s a full range Coaxial speaker, Rockford R168X2 for your car. It is basically a 2 way, 6×8 inch speaker which is best known for its extraordinary strong bass and drums. If you are looking for the high quality but also budget-friendly speaker than this speaker is just for you. Personally speaking, I love this speaker a lot and I will also like to suggest it to you people. This speaker has a rubber surround used in its manufacturing. This rubber surround is of high quality and price, but this speaker manufacturers have used it for extra durability. Many of the speakers have foam surround inside them because it is very cheap to use. Although foams are more flexible but they get deteriorate more easily as compared to the rubber surround, that’s why it’s good to use the rubber so that you may not have to change it for a long period of time. Speakers produces sound by using the electromagnet and they also uses the drivers to translate the electrical signals to physical vibrations so that we can hear the sound clearly and properly. Tweeter is also one of the speaker drivers that actually help to produce the highest range of frequencies. This speaker has the Silk Dome flush mounted tweeter of 0.50 inch (12.7mm) size that performs its functions extraordinarily and makes this speaker, a worthy sound piece. Gilles is attached to these speakers so that it can protect the driver element and the internals of the speakers from any harm and avoid any foreign object to go inside. This grill is on the front of the driver so it also interacts with the sound produced by that speakers. Grill provides a great protection for the internal sound system of the speaker. Rockford R168X2 speaker has also the mounting hardware available with it and it’s a greater ease that you do not have to take this hardware from the market separately as you take for the mounting of other speakers. When you buy this speaker, the mounting hardware will be provided to you in the delivery box. The available color of this speaker is black and it looks pretty much good. I also prefer good looking black colored speakers the most. Different types of drivers are definitely used by the car speakers so that they became able to produce a high-quality sound. This speaker has an integrated tweeter crossover. Crossover purpose is to connect different drivers to produce a specific range of frequencies. Rockford R168X2 full range prime coaxial speakers are definitely best affordable for all. Amazingly it costs less than 50 $. Rockford R168X2 is a 2 way, full range speaker of 6×8 inch that gives an excellent sound with neat bass. So if you are looking for the best affordable speakers for your car, you should go with this and personally I suggest this speaker to you as I also use it and I am happy with it at all. It stands tall amond the best 6×8 speakers. Here an interesting review of an excellent speaker. Its Kenwood KFC-C6895PS 3 way car speakers in a pair. They are oval custom speakers that adjust very well in every car. So if you are looking to replace your factory speakers, then this speaker will help you by providing a good audio and will give an enhanced listening experience. Kenwood KFC-C6895PS speakers are in a pair (2 speakers) of 6×8 inch of size, and 3-way custom fit speakers. The 3 ways speakers produce their sound by using three drivers, mainly the mid-range, woofer, and tweeter. Each of it has the capability to produce a specific range of frequencies and finally, they combine to form a good set of frequencies. A woofer is also included in this speaker and it is using 6×8 inch paper cone inside it and this cone is completely water proved. Woofer or a bass speaker is designed for generating the low-frequency sounds. Its frequency is adjusted with the frequencies of other drivers and finally, a good frequency sound is presented to you. Most speakers are in durable and non-dent black color and same for this speaker too and color definitely matters for many of the speaker users and some shows no concern about the speaker color, the only thing that matter for them is the speaker quality sometimes. This speaker is a completely light weight of only 4 lbs. The lightweight speaker can also be adjusted in car doors with great ease. Kenwood KFC-C6895PS speaker has 12-volt battery used in it. When you use the speaker for a very long period of time especially using it at very much loud volume all the time. It will take the battery power more and if you play the speaker at a normally audible sound than it will not make the battery to run low. It’s better to charge the battery first and then use it, it is not recommended at all to use the speaker while charging. These speakers use the steel black colored basket on them, the main purpose of which is to reduce the audio cancellation and also the protection of the speaker internals. These speakers are of the oval shape that got smoothly adjusted anywhere in your car. It is actually an Oval custom fit speaker and this thing is proved by this feature. One of the best things of this speaker is that it is very much easy to install, no matter if you are a professional or not, if you have just a little bit knowledge of mounting speakers than you can easily do it. These speakers are present at an affordable price so no need to worry about your budget. Go and get this in a reasonable amount, this speaker is all yours. So finally, I would like to say these Kenwood best 6×8 speakers are just awesome. These speakers are pretty much cool and highly durable. So if you are in search of a high quality, high durability, and good bass speaker, then install these in your car and enjoy. This speaker has got the head-turning because of its clean and strong sound production. This marvelous speaker is having a curvilinear cone design with mica filled cone for the production of superior midbass and Off-Axis performance. It looks just awesome as this styling is really top notch. Cerwin Vega V468 speaker uses a low resonance deep drawn composite basket and it protects the internal system of the speaker. This speaker has got the frequency response of 55Hz to 20 KHz and the sensitivity of high sensitivity value of 94 dB. Higher sensitivity value of the speakers ensures its excellent sound and best performance. The drivers like woofers and tweeters are also on this speaker, woofer of 6 X 8 inch (152mm X 203.2mm) and tweeter of 1.0 inch (25.4mm) aluminum dome. The Vega signature red surround is on the speaker’s top, over the crossover and this gives a unique and good look to this speaker. That’s why it looks completely different. Cerwin Vega V468 speaker provides a good warranty and support. This speaker is economical to purchase, so if you are truly in need of this speaker and like it very much then, what are you waiting for, go and buy these affordable speakers. 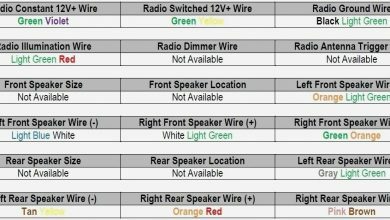 Speaker specifications are going to be listed below, give them a view to get quick information about this fabulous speaker. 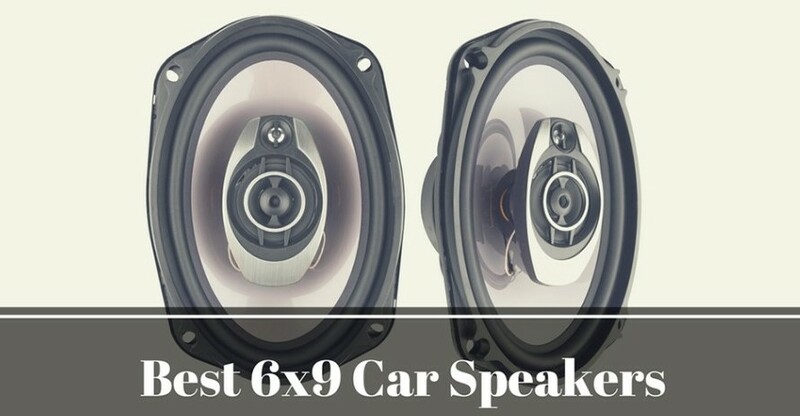 Why I Choose these Best 6×8 Speakers for my Car? Lastly, you know all the things about these amazing and unique speakers. They are freaking awesome. You can purchase them at an affordable price. The best thing is that they perform off axis and are superior for midbass. It’s the best option to replace your car’s factory fitted speakers with these. Firstly I want to take some speakers for my car in replacement of factory fitted speakers. 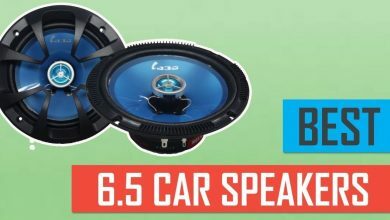 Although my factory fitted speakers were normal and performance was fine but they have extremely bad sound quality and the bass was not there at all and I was in search of a unique and excellent sound car speaker and I found this one. I asked my friend for the suggestion and he told me that he is using the same speakers and he is spending a good time with this as the sound is perfect and I also asked him to tell further details about it but I was a little bit confused. I was thinking that it might be not as best as I am demanding because I have to do a lot of driving and most of the times I need good speakers to play in my car. Stopping myself, filled with confusion I decided to take this speaker as my friend has also suggested me this one. I thought that what matters, it is so much affordable and there will be no wastage of money if I buy this. Finally, I bought this speaker and adjusted it in my car and I am glad that my friend has suggested me the best speaker ever. All confusions were gone when I installed this in my car and I just love it now. It gives a clear bass and sound system a completely clear and just awesome. All of its features are remarkable that’s why it has made its mark in the world and it will keep providing benefits to the people just because of its good qualities. A pioneer TS-G6845R speaker has a piezoelectric tweeter in it. This tweeter is of 1-3/16 inch size. In this tweeter, there is a piezoelectric effect in which certain crystals get squeezed and then electricity flows through them. It has a rubber coated cloth speaker surround. Cloth interacts best with the sound coming from the speaker and rubber coating protects it from any kind of damage and protects from the dust to go inside. Pioneer TS-G6845R speakers are specially designed with the shallow mounting depth to be fitted at any of the places very easily and correctly and also there are custom fit baskets on them for select Ford and Mazda vehicles. This installation finely suits any car. So, without any body’s help, you can install these speakers by your own. It has the best sound quality ever. When this speaker was manufacturing they took the initiative to make it’s sound as best as possible and finally they did this and designed this speaker as such that it produces a sound without any kind of distortion and gives a deeper bass. Pioneer TS-G6845R speakers are good and Pioneer is definitely the best company, so there are no chances of any damage and faults but if there came any damage while delivery than definitely, they provide a warranty to repair back to you. Besides all of the remarkable features of these speakers, they are also available at an affordable price for all. So even if there is an end of the month and you are some shortage of budget, even at that time you can take these speakers as they are thrifty so there will be no problem at all. Available in iPhone black color. So finally you have got all the info that you want and now it’s time to say welcome to these speakers in your car. So get ready to buy these fantastic speakers and listen to the worthy bass sound. Here’s a Pioneer 4-way speaker of 6×8 inches. If you want to know its features than keep reading this. It’s a pretty much cool speaker, its look is awesome and personally my favorite one. Although, I don’t focus on designs and looks very much but truly speaking I love this one very much. It has a multi-layered Mica Matrix cone design, a very new cosmetic design, for an optimum and best sound production and the immediate responsiveness. Pioneer TS-A6886R 4-Way Speaker has an elastic polymeric surround which is very light in weight. It’s so much lighter than it doesn’t add its weight to the speaker. This has a heat-resistant voice coil wire in it which makes this speaker highly durable to withstand high input powers and also helps to dissipate heat so that the heat eliminates out and may not affect the functioning of the speaker. As this speaker dissipates heat also, so it has got the cooling system with an air vent to increase the cooling process so that it can handle the power in a more effective way. The much better and improved technology offers an enhanced sound quality, better performance and provides the ability to play a large variety of most popular music including rock music, hip hop, dubstep etc, with high melodious bass. Many of the materials used inside this speaker are water resistant and this feature makes this speaker just excellent. Pioneer TS-A6886R speaker can be easily installed without any difficulty. 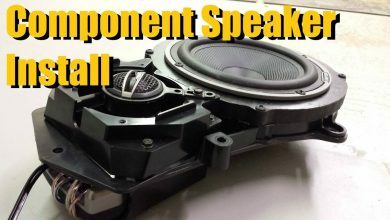 This size and especially this unique size and shape of the speaker get fitted in multiple vehicles. This speaker is only 4.2 pounds and all these features together make this speaker so much adorable. If you ask me to tell my favorite best speakers than in my favorites list, I will call out the name of this speaker as this is just freaking awesome. All the materials used in this speaker are highly durable and waterproof also. These all things make these speakers the best of all and arouse everyone to say that this one is the best speaker ever. This gorgeous speaker has the black color and the best thing in it is that the middle area or cone has the black color with little dots inside it that looks like a gorgeous shiny stardust. The affordable price is what that attracts all of us, we definitely want to buy a speaker which is affordable and delivers quality sound. So finally, we are done here. This Pioneer TS-A6886R 6×8 speaker is excellent and no one can defeat it in any way. If you are in search of the best speakers then you should go for this high-class speaker.